We are tremendously proud to release The Best of the Press, Volume I, the first book under the Palate Press imprint. 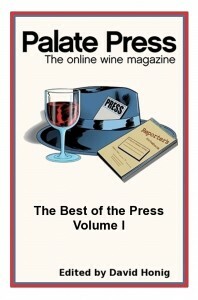 The Best of the Press, Volume I is a collection of the very best stories from the first year of Palate Press: The online wine magazine. It includes our favorite stories about wine, wine science, retail, food, people, wine making, the world of wine, and wine writing. Featured authors include W. R. Tish, Meg Houston Maker, Dan Berger, Mary Ewing-Mulligan, Rémy Charest, W. Blake Gray, and more. Writers from all over the world, including the United States, Canada, Great Britain, Italy, Greece, Croatia, and more are featured. Read all these great stories, and more, in Best of the Press, Volume I. It is the ideal gift for wine lovers on your holiday list. Best of the Press, Volume I, is available at on-line book retailers or by direct purchase. Click now to purchase the eBook version for iPad, Kindle, Sony Book Reader, and other formats, for $4.99. Print Edition with black and white images, available now for $19.99. 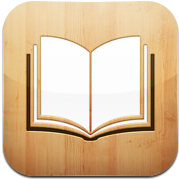 Now available at the Apple iBook Store for iPad, the Sony Bookstore, at Diesel and as a Barnes&Noble nookbook for Nook, iPad, iPhone, PC, andAndroid, for $4.99. Coming soon to Amazon and Kobo.